Voume 29, Issue 3, 2013. The Jacob P. Waletzky award of the Society for Neuroscience was established in 2003 by the Waletzky family in memory of Jacob P. Waletzky who tragically died of cocaine-induced cardiac arrhythmia at the age of 29. In order to encourage research into the neurobiology of drug and alcohol addiction, the award, which carries a $25,000 prize, is given each year to a young neuroscientist who has conducted innovative research in the area of substance abuse. At the tenth anniversary of the award, this special issue presents a compilation of reviews and original articles by the first ten awardees: Pier Vincenzo Piazza (2003), Antonello Bonci (2004), William Carlezon (2005), Yavin Shaham (2006), Marina Picciotto (2007), Christopher Pierce (2008), Geoffrey Schoenbaum (2009), Paul Kenny (2010), David Jentsch (2011), and Andrew Holmes (2012). The Jacob P. Waletzky award has become a premier award in addiction research. 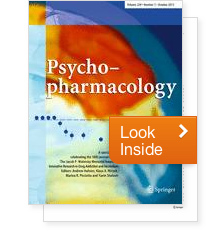 The 11 papers in this issue provide the reader with a primer in the neurobiology of addiction and psychiatric disorders. Research is presented on biological pathways, changes in brain structures, genetic contributions, and new treatment options as well as the synthesis of new information to support breakthroughs in thebiology and treatment of substance use and addiction.